Factor deficiencies are both congenital and acquired. Factor assays provides a quantitative determination of activity. 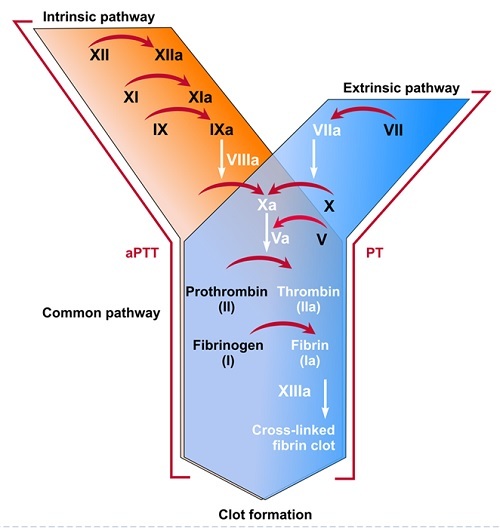 A dilution of the patient sample is added to defiency plasma of the factor of interest and run in a PT (for the extrinsic and common pathway factors) or in an aPTT (for the intrinsic factors). Factor activity assays are calibrated with a plasma of known concentration of the factor of interest like the Coagulation Reference with defined factor activities. Factor activity assays are reported in % Activity.